Winner of the 2004 Whitbread Prize for Biography"D. J. Taylor has written not only the best recent biography of George Orwell . . . but also one of the cleverest studies of the relationship of that life to the written word." 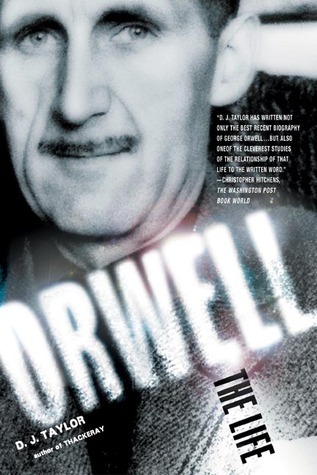 -The Washington Post Book World In the last fifty years, Animal Farm and 1984 have sold more than forty million copies, and "Orwellian" is now a byworWinner of the 2004 Whitbread Prize for Biography"D. J. Taylor has written not only the best recent biography of George Orwell . . . but also one of the cleverest studies of the relationship of that life to the written word." -The Washington Post Book World In the last fifty years, Animal Farm and 1984 have sold more than forty million copies, and "Orwellian" is now a byword for a particular way of thinking about life, literature, and language. D. J. Taylor's magisterial assessment cuts through George Orwell's iconic status to reveal a bitter critic who concealed a profound totalitarian streak and whose progress through the literary world of the 1930s and 1940s was characterized by the myths he built around himself.Drawing on previously unseen material, Orwell is a strikingly human portrait of the writer too often embalmed as a secular saint. This biography is as vibrant, powerful, and resonant as its extraordinary subject.